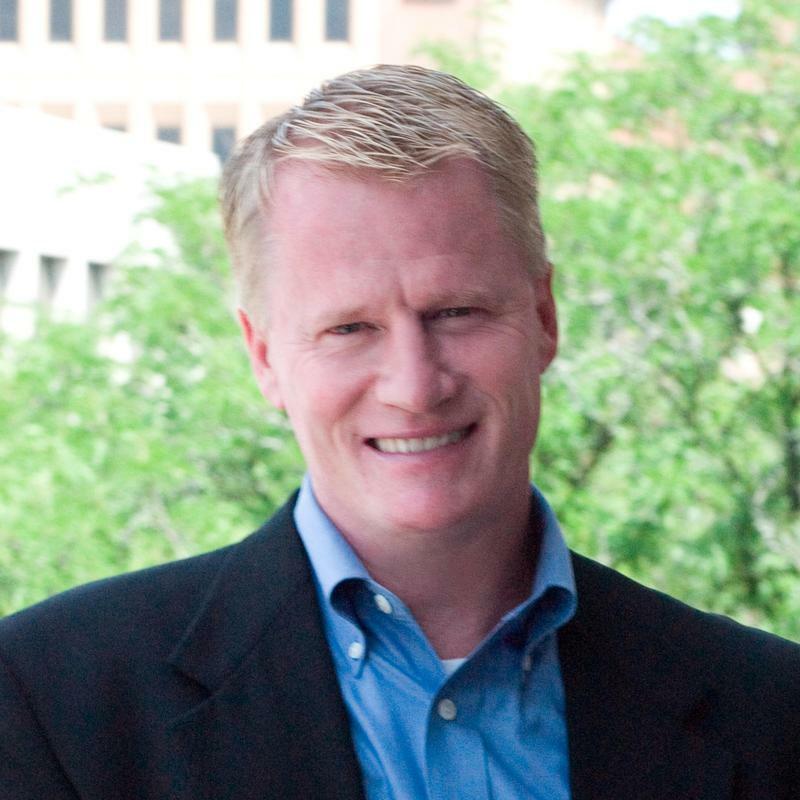 Our conversation with John U. Bacon, Michigan Radio's sports commentator. One thing that college football fans love about the sport is that you never really know what's going to happen from week to week. 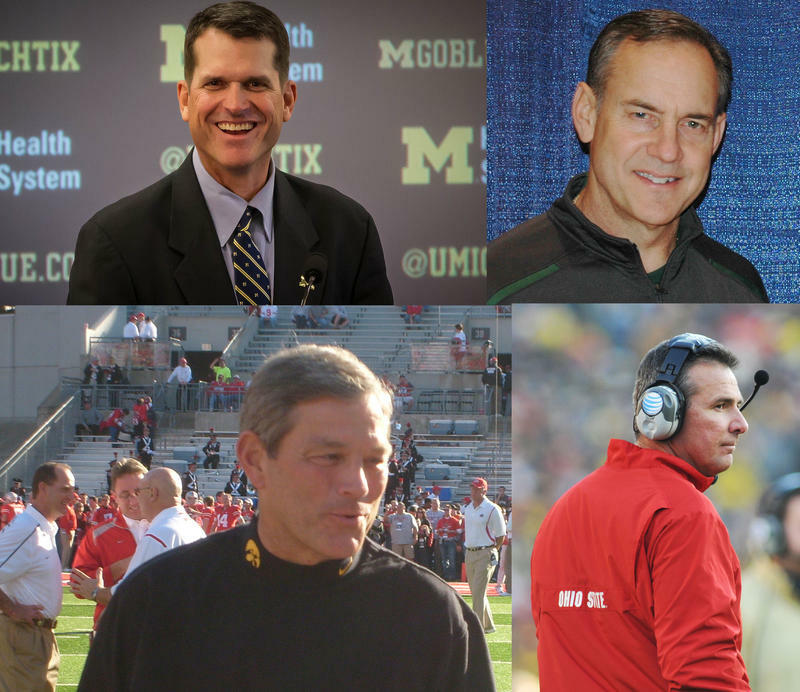 It's tough to predict, and there are a number of interesting stories happening across the Michigan sports landscape that very few people saw coming. Michigan Radio's sports commentator John U. Bacon admits that he knew Michigan would be good under Jim Harbaugh, but not this good this quickly. He knew Michigan State would have a down year (by their standards), but not bad enough to have their first five-game losing streak in 25 years. He knew Western Michigan would be good, but not good enough to be 8-0 and ranked in the Top 20 for the first time in school history. 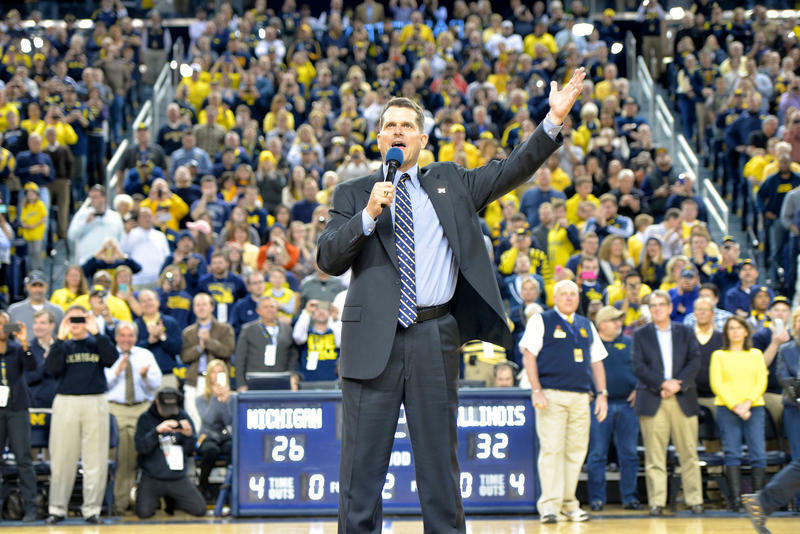 How long will Jim Harbaugh stay in Ann Arbor? Two years ago, the Michigan Wolverines had just lost to Rutgers to post an anemic 2-4 record. Fans were miserable, especially the students, and they showed it by staying home instead of going to the stadium. 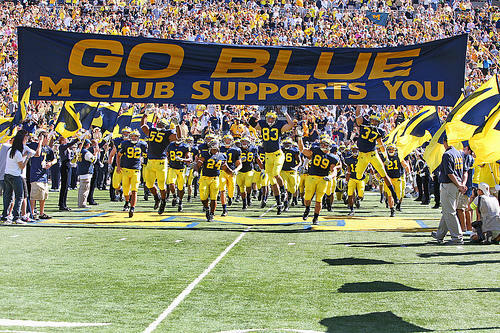 Last week, Michigan beat Rutgers 78-0. They’re undefeated, and ranked fourth in the nation. What a difference a couple years make – or one coach, take your pick. 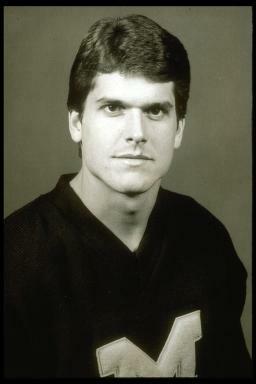 That coach, of course, is Jim Harbaugh, and he’s probably the hottest coach in America. It was a big weekend for football around the Great Lakes State. The University of Michigan stole most of the headlines with an historic 78-0 road win over Rutgers. It was a dominant win in just about every phase of the game as the Wolverines "took the paddle" (as John U. Bacon likes to say) to the Scarlet Knights. After a one-sided loss, there are always fans and sportswriters who like to criticize the head coach for running up the score. However, John U. Bacon said in his weekly segment on Stateside, it wasn't Jim Harbaugh being a bad sport. 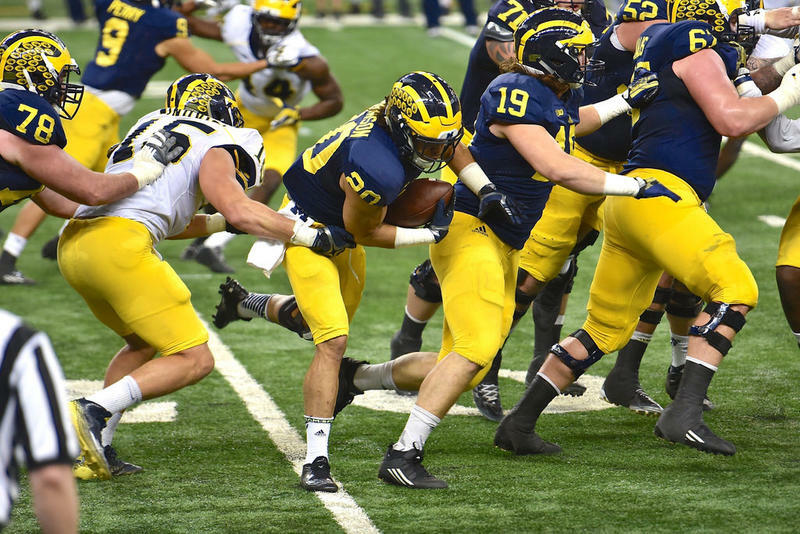 Bacon: Wolverine defense might be best in nation; Jim Caldwell “simply not a very good coach"
It’s time to check in with Michigan Radio sports commentator, John U. Bacon. For Tigers fans, the baseball season is over. There won’t even be that make-up day for the rained-out game last week. The Tigers ended the season with a 1-0 loss to the Atlanta Braves. 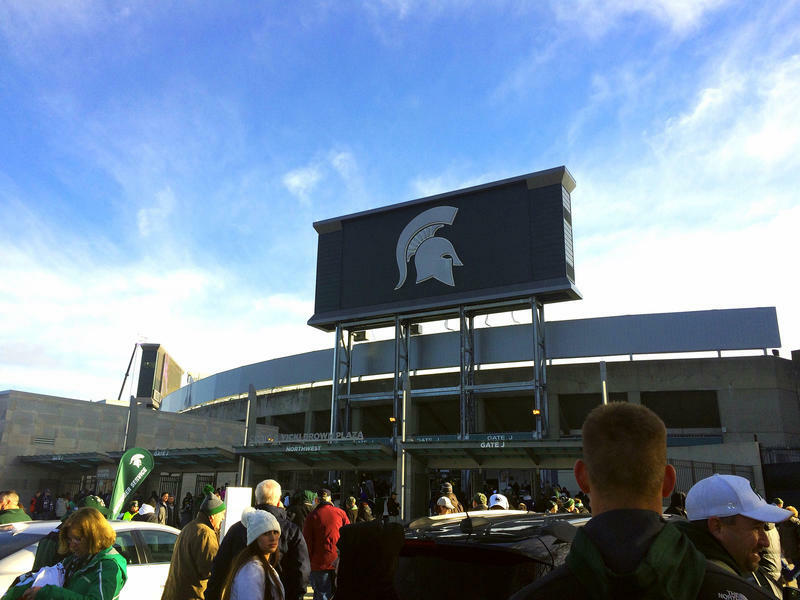 It was a full weekend of sports across the state of Michigan, headlined by the Wolverines and the Spartans hosting games in their respective home stadiums. Michigan, which remains ranked No. 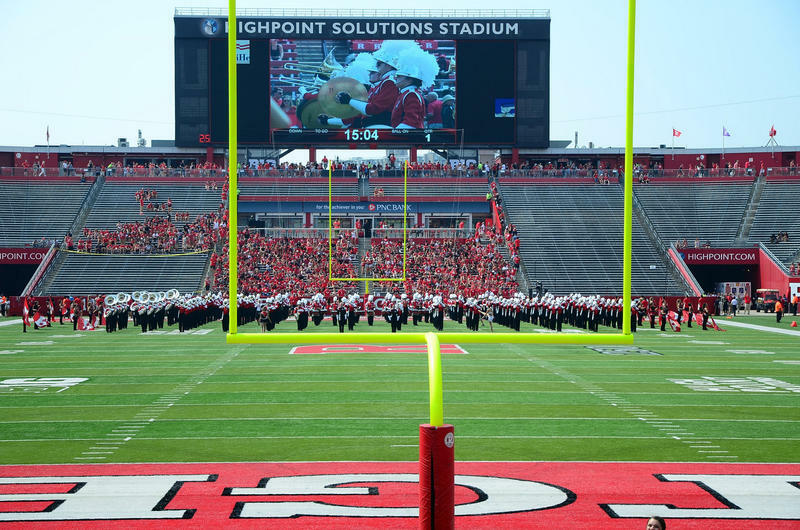 4 in the nation, flexed its muscles with a 49-10 blowout of Penn State. Meanwhile, in East Lansing, it was a battle between two Big Ten teams ranked in the top ten. However, Michigan State suffered a rare one-sided loss, 30-6, to the Wisconsin Badgers. Two memorable Michigan State football plays have been encapsulated in stop-motion LEGO videos. The Detroit Free Press reports that Jared Jacobs, a 38-year-old sports fanatic has recreated two of the most memorable plays from the Mark Dantonio era of Spartan football. It's not easy to be a Detroit Lions fan. Like many across the state of Michigan and beyond, Michigan Radio's sports commentator John U. Bacon has been through a lot (of losing). 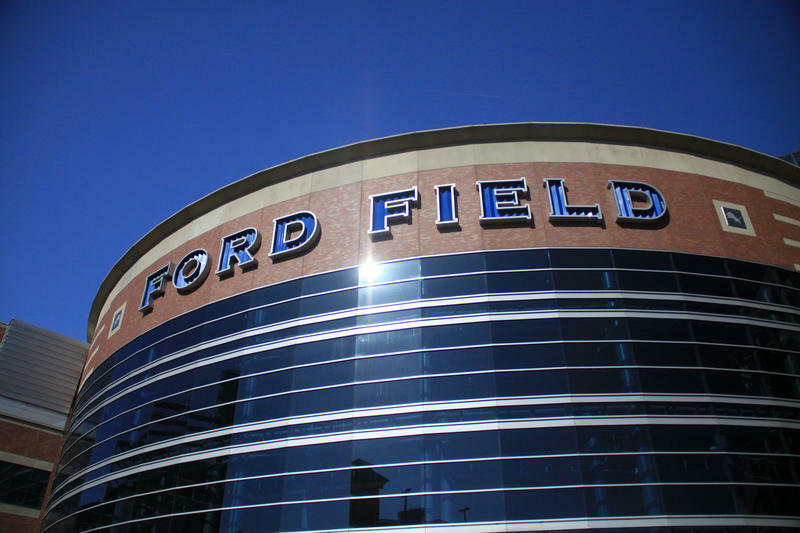 As a result, it came as no surprise to Bacon that after the Lions won their season opener on the road against the Indianapolis Colts in dramatic fashion last week, they would return home and lay an egg. On Sunday, the Lions had a 15-3 lead over the Tennessee Titans going into the fourth quarter, but their defense allowed a pair of touchdown passes and lost the game 16-15. Listen to John U. Bacon describe Michigan football workouts. A few years ago I had the chance to work out with the Michigan football team, for a six solid weeks. I lifted more weights than I any writer should, followed by an ungodly number of sit-ups, pushups and pull-downs. Just 15 minutes into my first work out, I was sweating like a pig, and panting like a dog. You could have taken my pulse by touching my hair. It wasn’t long before I was running to the trashcan to get rid of my breakfast. It was a big weekend for Michigan sports headlined by the Detroit Lions' dramatic 39-35 season opening win over the Indianapolis Colts. The post-Calvin Johnson era began with Lions kicker Matt Prater redeeming himself for an earlier missed extra point by hitting the game-winning field goal with four seconds left. Two years ago, the Southeastern Conference was dominant, while the Big Ten looked like a doormat. Experts cited the Midwest economy, and the migration to the South and West. But during opening weekend, the Big Ten teams lost only two games, while the SEC lost 7. The difference is not demographics, but coaching. There are a lot of happy fans in Michigan this weekend after a football rarity. All five of the state’s Football Bowl Subdivision teams won their season openers. It’s the first time Michigan, Michigan State, Eastern Michigan, Central Michigan and Western Michigan all won in the opening week of a season since 2001. It's that time of year again as college football kicks off this week. Michigan Radio sports commentator John U. Bacon joined Stateside to talk about the five Division I teams that will begin the 2016 season. In the standings of medals won in Rio, Michigan would rank 16th if it were a country. That’s according to a story in the Detroit Free Press by Brian Manzullo. “What’s impressive about that is these are the summer Olympics," sports commentator John. U Bacon said. "This is Michigan, man. 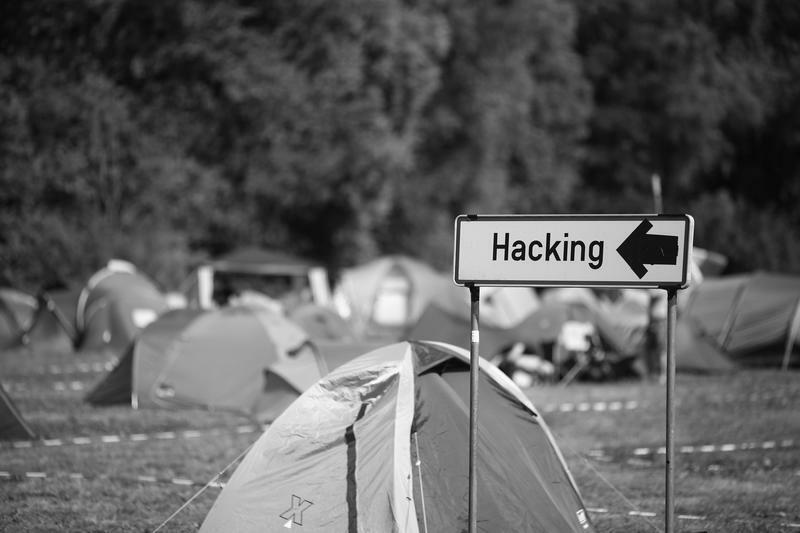 Summer’s not our thing." Bacon joined Stateside to discuss Michigan’s outstanding performance at this year’s Summer Olympics – with a special hat tip to Olympians Michael Phelps and Nick Willis – and Ryan Lochte’s “we were robbed at gunpoint” lie. The wait is over — Nike’s line of University of Michigan apparel is finally available. Crowds lined up outside the MDen on State St. in Ann Arbor to wait for the new gear to be released at 12:01 am Monday. Football coach Jim Harbaugh and Athletic Director Ward Manuel both appeared at the retail store. 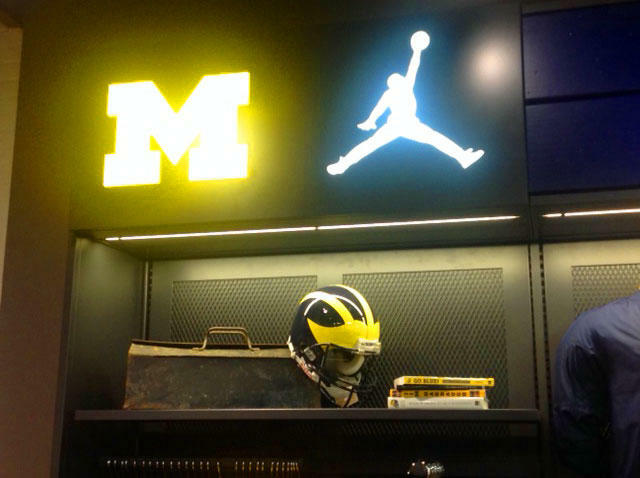 A contract that could be worth $173.8 million between the University of Michigan and Nike went into effect today at midnight. More than 400 Russian Olympic athletes are in danger of being banned from the Rio Summer Olympics. With just 17 days until the games open, the International Olympic Committee is reviewing its legal options after a stunning report revealed the biggest doping scandal in sports history. Those options could include banning all Russian teams from Rio. The World Anti-Doping Agency report spells out an elaborate doping scheme run by the Russian government. It says the cheating goes back to the Sochi Olympics and beyond. It's proof that attitudes toward performance-enhancing drugs have certainly shifted since Greg Stejskal worked for the FBI here in Southeast Michigan. 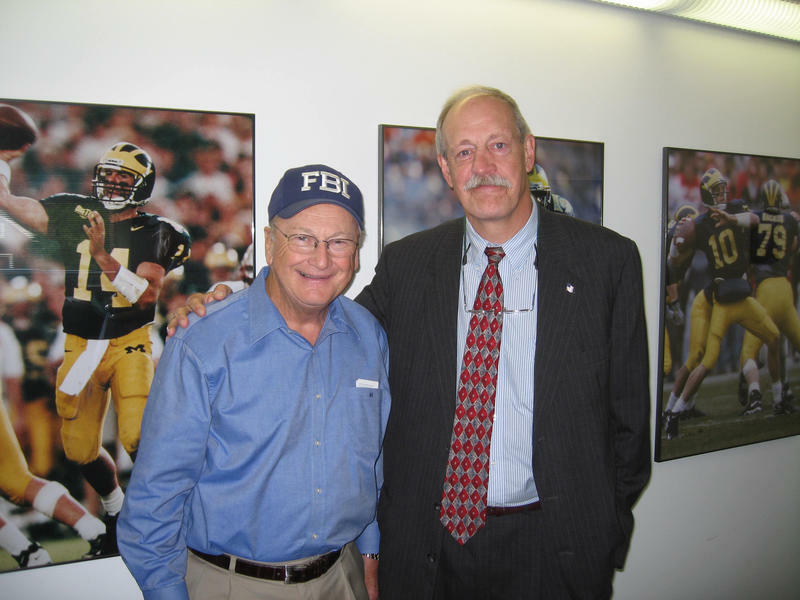 And, as it turns out, a certain legendary Michigan football coach was ahead of his time when he raised questions that inspired the FBI's first probe into performance enhancing drugs. ANN ARBOR, Mich. (AP) — The University of Michigan hired UConn's Warde Manuel as its new athletic director on Friday, bringing back a well-regarded alumnus who once played football for the Wolverines — just like its coach, Jim Harbaugh. The 47-year-old Manuel, who had been Connecticut's athletic director since 2012, was given a five-year deal by Michigan. The salary was not immediately disclosed. 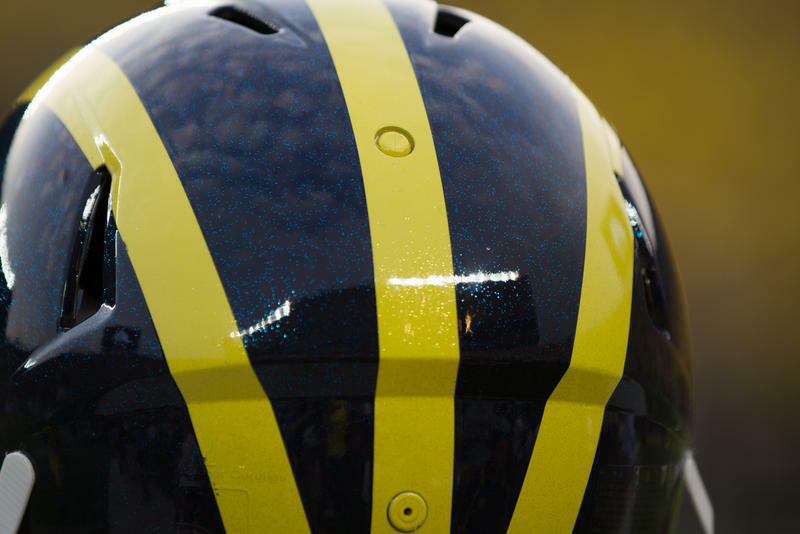 The University of Michigan may have a new athletic director. According to reports from The Detroit Free Press, ESPN, and a former Boston Globe sportswriter, UM plans to hire University of Connecticut Athletic Director Warde Manuel to serve as the athletic department’s next leader. Michigan Radio sports commentator John U. Bacon joins us for this week's sports roundup. Big Ten teams are dominating the College Football Playoff rankings with four teams holding positions in the top ten. Both Michigan State and U of M rose in the rankings this week, State from ninth to fifth and UM from 12th to 10th, while Ohio State fell from third to eighth place. Bacon says the most surprising move was Iowa's rise to third. Michigan Radio’s sports commentator John U. Bacon joins us again for this week’s sports roundup. ANN ARBOR, Mich. (AP) - Jalen Watts-Jackson grabbed a flubbed punt and lumbered 38 yards into the end zone for a touchdown on the final play of the game, giving No. 7 Michigan State a shocking 27-23 win over No. 12 Michigan in one of college football's most unlikely endings. 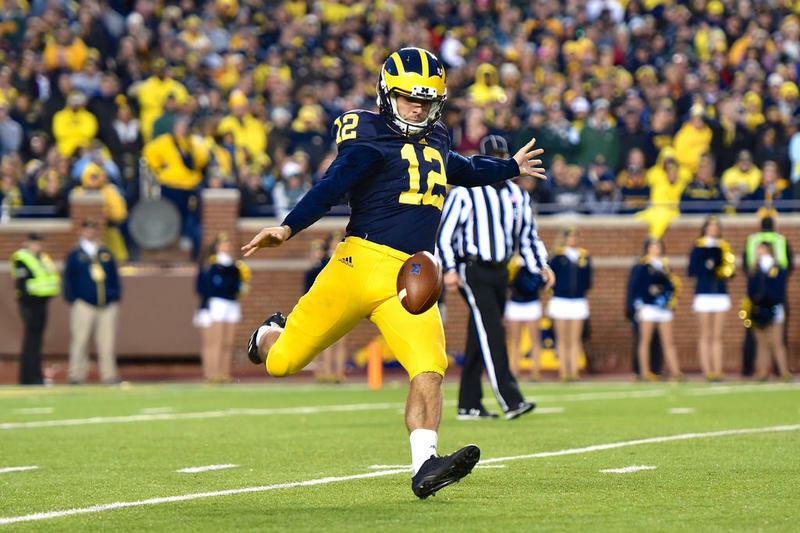 With the Wolverines ahead 23-21 and 10 seconds left, Michigan punter Blake O'Neill bobbled a low snap, and spun around to try and make the kick. But he was hit, the ball popped free and Watts-Jackson caught it, broke a few tackles in the final yards and made it into the end zone. John U. Bacon joins us for this week’s sports roundup. He tells us he didn’t anticipate a win for Michigan, but he did expect to see 60 minutes of honest, fundamental football, and it looks like that’s what we got. This time a year ago, there was no scarcity of news coverage of the troubled University of Michigan football program, leading to the firing of athletic director Dave Brandon and coach Brady Hoke, and the eventual hiring of Jim Harbaugh as the new Wolverine coach. Michigan Radio sports commentator John U. Bacon joins us for this week’s sports roundup. After a 15-8 win over the Cubs on Wednesday, it looks like the Tigers might be returning to form. But Bacon tells us it’s too little, too late. We are actively working to resolve the issue with experts throughout the University and at Facebook. That remains our top priority. I was wondering why Michigan Football wanted me to know about "22 Child Stars That Grew Up And Got Superhot" last night as I scrolled through my Facebook feed. The Tigers came out of this past weekend 11.5 games behind AL Central Division leaders the Kansas City Royals. After the Red Sox, “beat the crap out of us,” as described by Tigers manager Brad Ausmus, there’s some question as to how things are going to play out approaching Friday’s trade deadline. With so much buzz around Michigan football coach Jim Harbaugh, Michigan Radio sports commentator John U. Bacon thought he'd recount the coach's beginnings at the university. Harbaugh's father was a defensive backs coach under the leadership of Michigan's legendary Bo Schembechler, and during this time Harbaugh was a ball boy for the team.